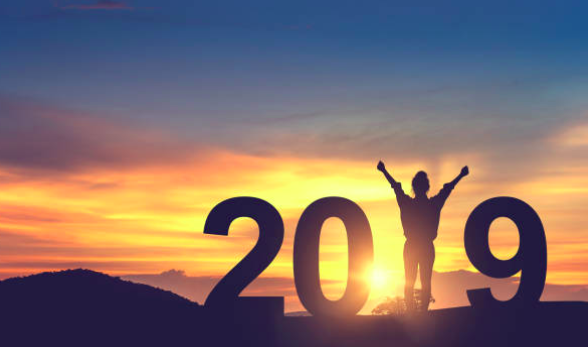 Channeled Messages: For 2019 Happy New Year! I hope everyone enjoyed their holidays and are ready for this year! This is a channeled message about this year and what to expect. Understand that your planet has gone through many changes over the past five years. Understand that much of the benefit of those changes will be realized moving forwards. We feel that this year things will be much easier for many of you. We feel that much of the difficulties and struggle of the previous years, you will see their benefits and purpose much more clearly. We feel that it is important to stay positive and to not get swept up into negative ideas, associations, and environments. We feel that things will manifest much easier as the year progresses and that being so, having control over your thoughts will be much more important. We feel that just as you can manifest what you want, you can manifest what you do not want. We feel that you will notice things that once were a cause of anger, separation and chaos in the world, will become forgotten about. We feel that you will notice an ease and gentleness about life and the world you live in. We feel that this is a year for creation. We feel that if you set yourself up well, there is much success to be had. We would suggest for you to set a list of goals for yourself, we would suggest no more than five at this time, and to visualize them coming true for yourself each and every day. We feel that it is important that after you visualize them, that you take action on them right after. We would suggest there not be a gap between your visualization and your taking action on it. So for example, if your goal is to get in good shape or lose ten pounds, visualize the outcome of it and how good it feels to have accomplished your goal, then work out or make a healthy meal right after. We feel that this will move things along much faster for you are saying that this is what I am wanting and I will take the necessary action right away to allow it to happen. We would also encourage people to learn about the mind body connection and to do daily breathing exercises. We feel that much of the chaos and upset is behind you in a general sense of the state of the world. There will always be bits and pieces of it as you move forwards but we feel that it will not have as much of an impact as it once had. We feel that the negative energy is decreasing but that does not mean that it does not still exist. This year and moving forwards it is very important to be very diligent as to where you put your energy. We feel that overall this year will be lighter, more open and more able to work with you. We feel that there is nothing to fear in moving forwards and you will be surprised at the amount of abundance available in the world.